It is 22 years since The Proclaimers released their first album, This Is The Story. Strikingly individual, twin brothers Craig and Charlie Reid have over the years enjoyed huge successes across the globe. 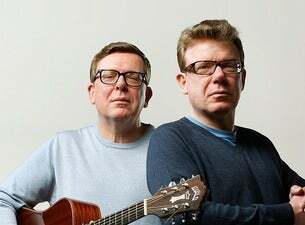 2007 saw The Proclaimers play their biggest ever UK tour and collaborate for Comic Relief with Peter Kay and their number one fan Matt Lucas, to top the charts with their classic anthem, I'm Gonna Be (500 Miles). See the live in 2019!